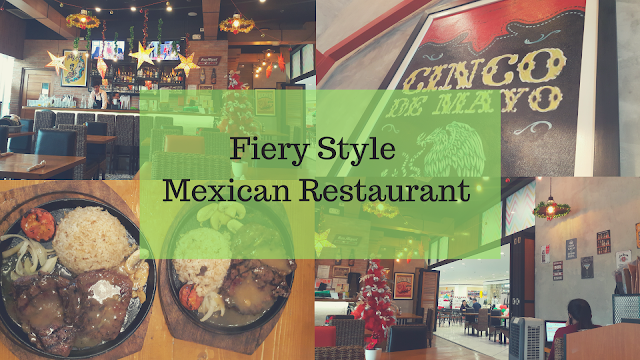 Upon entry, it has a pretty western design with that chic rustic Tex-Mex feel from its interiors and displays. It's a sure thing that the first thing that you would think is to order tequila or margarita because of the ambiance right? 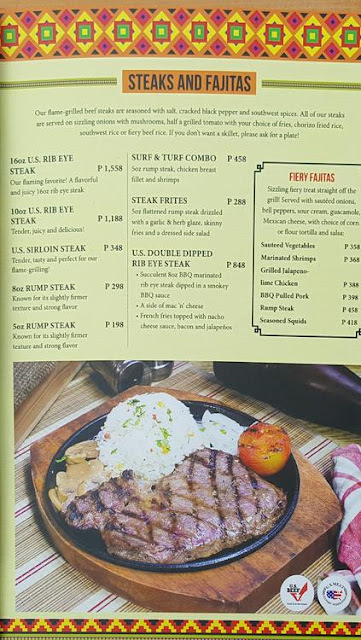 They have different types of steaks ranging from 198 pesos to about 1,558. They also have full course meals including choices for starters, soups, burgers, main dish down to desserts and drinks. Our order is the 8oz Rump Steak. (298 pesos) and a jar of iced tea for sharing. We requested that our meat would be medium rare but the waitress suggested that we have it medium cooked because the type of meat they use would be a little bloody so we agreed. Serving time only took about 15 mins and we were pleased we the food we had. 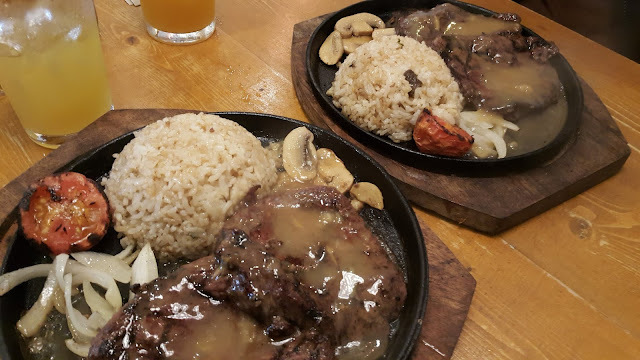 The meat was cooked perfectly and we had the chorizo rice, mushroom slices, onion chops and grilled tomato. The sauce of the meat is also great. 1. The serving is great in portions. We just decided not to order starters and desserts because we plan to eat dessert somewhere else after. 2. Price is right with the quality of the food. If you plan to eat with your fam or friends they also have selections for sharing. It's sure that i'll comeback with my friends here again.